Today's victory for Masters saw her overtake Norway's Birgit Skarstein in the World Cup standings to claim the women's sitting cross-country title. Skarstein had been 10 points ahead in the standings going into the race, but could only finish third, allowing Masters to overtake her. Masters won in 9:40.6mins, with her compatriot Kendall Gretsch finishing in 9:49.3 and Skarstein in 10:09.0. American Paralympic champion Daniel Cnossen triumphed in the men's sitting event, subsequently taking his World Cup title. He recorded the winning time of 15:45.1, faster then South Korea's Shin Eui Hyun in 16:25.0. Ukraine's Taras Rad finished third in 16:33.7 to end up second in the overall standings, with his compatriot Vasyl Kravchuk a place below him. Austria’s double world champion Carina Edlinger had already claimed her third successive World Cup title yesterday, achieving further success in today's women's vision impaired race. She won in 9:07.6, ahead of Ukraine’s two-time Paralympic champion Oksana Shyshkova in 9:29.7 and Germany's Clara Klug in 10:29.4. Canada finished the day with two gold medals, with Nordic skiing legend Brian McKeever storming the men’s vision impaired race in 14:24.7. Norway's Eirik Bye was second in 15:17.8, while Ukraine's Dmytro Suiarko was third in 15:37.0. It was Sweden's Zebastian Modin who claimed the overall title, however, with the skier choosing not to compete in Sapporo having already secured victory due to his previous performances. Natalie Wilkie won Canada's second gold in the women's standing, crossing the line in 8:31.6. In second was Norway's Vilde Nilsen, who had already taken the overall title. Nilsen finished in 8:32.9, ahead of Canada's Emily Young in 8:47.1. 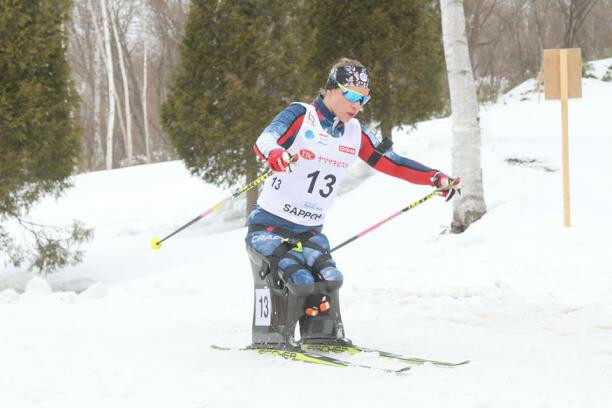 Ukraine's Grygorii Vovchynskyi finished sixth in the men's standing race far behind Canadian winner Mark Arendz, but still managed to top of the overall rankings.